One of the concerns from brides who book their wedding makeup with me is about the makeup for their mums and mother in laws to be. The mums tend to not want to be overly made up, and wonder what style of makeup will suit them best. 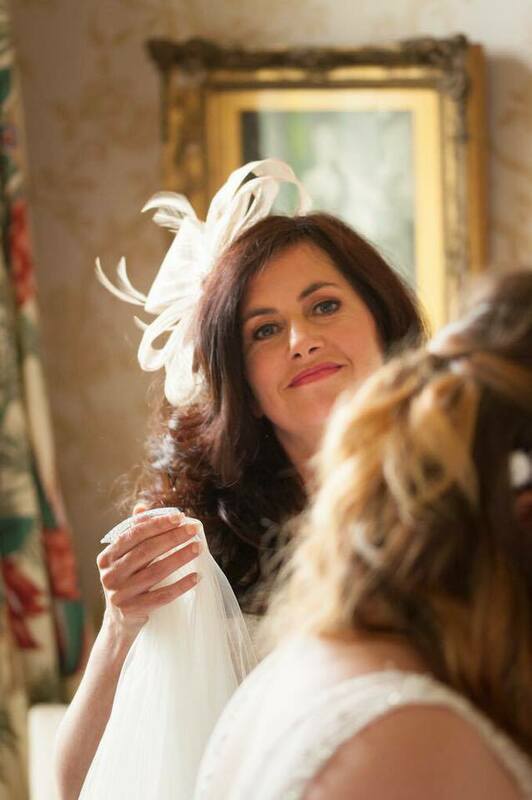 I have been very privileged to make up some beautiful mums over the years as a Liverpool Wedding Make-Up Artist. As it is Mother’s Day tomorrow, I thought I would focus on Mother of the Bride/Groom beauty! Beautiful looking skin is the base of any makeup. Having a good skin care routine is essential to looking your best on the big day. Make sure to cleanse tone and moisturise daily. There are many primers available to prep your skin for foundation. My favourite to use on mums is NARS Smooth and Protect Primer. It hydrates, plumps and smoothes away any fine lines and imperfections. Lightweight, radiant foundation formulas are the most flattering. Avoid heavy, matte foundations as they can age the look of the skin. I love Pierre Rene Skin Balance foundation. Likewise with concealer, stick to lighter textures. Heavier concealers can crease under the eyes. NARS Creamy Concealer does the trick to cover under the eyes or hide any blemishes. I love using matte neutral eye shadows, like the Viseart Neutral Matte palette, to enhance and define the shape of the eyes. Once I have done that, I like to add a pop of shimmer onto the center of the lid, and finish with a soft smokey liner and mascara. Clever contouring can both slim down and lift the face. I like to use a creamy concealer that is 2-3 shades darker than your foundation shade to sculpt under cheekbones and along the jawline. Make sure you blend well, stripes are not cute on anyone, ever! Using a cream or liquid blusher will give a natural glow to your skin, dab a small amount higher on the cheekbones and blend towards the apples of the cheeks. I love Stila Convertable Colour Blush, it sits beuatifully on the skin. Avoid shimmery highlighters on the tops of the cheekbones if you have any wrinkles around the eyes. It will accentuate crow’s feet and not look good! Instead, use a concealer 1 shade lighter than your foundation, and again, blend well! We all want the Holy Grail of lippies! One that doesn’t budge all day, but also doesn’t dry out the lips or go bitty. Well ladies, Charlotte Tilbury has created just that!!! Her Hollywood Lips are creamy, long-wearing lipsticks that are perfect for weddings and come in many shades from gorgeous nudes to deep reds. Another trick I love to use is to prime the lips with Max Factor Colour Elixir Universal Lip Liner! Lining on and just over the lip line with this pencil instantly plumps up fine lines and makes your lipstick last longer. It stops any pesky lipstick bleeding in it’s tracks. I hope these makeup tips help you when looking at makeup for your lovely Mums! If you have any questions, you can email me beauty@theliverpoolweddingblog.com and I will be happy to reply in a future post!